Before you start backup you need to build a project which contains the backup of your desired data, if you have already created one then you can open the already existing project by using the second option. If the user wants to backup data by using Geeksnerds Data Backup then the user will create a new project, simply by giving the project name and if the user wants to give description regarding backup data project having details of files and folder in backup ,it is optional. After completing the form click on the "NEXT" button or simply click on the “Select File” tab in task bar. 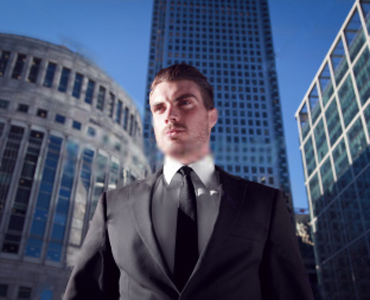 The already created project can be edited. If the user has already created a backup and wants to edit it, simply check the second option. A list of all created projects will be visible. 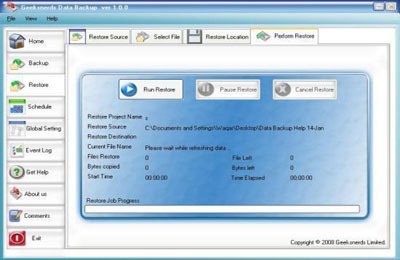 The user can select the desired backup project and click on the Load Project button. It will be loaded, now the user can modify project. Now the process of selecting data for backup is complete. Now click on the "NEXT" button given at the end of the page or select the "Save Backup" option from the task bar. If you want to open the existing project, the detailed information about data you added in the project is available in table, if the user wants to add more data by browsing or to deselect existing data from the existing project, it can be done by clicking on the "Deselect File/Folder" button given. After modifying the existing project click on the NEXT button given or select the "Save Backup" option. Whenever Geeksnerds Data Backup backups the user’s data according to schedule settings, the backup program will take the full backup of data rather than taking the backup of modified data. Whenever Geeksnerds Data Backup backups the user’s data according to schedule settings, it will check all the data. If any file or folder has been modified, Geeksnerds Data Backup will only take the backup of that particular file(s)/folder(s) rather than taking the backup of whole data. By clicking "Select" button a window will be opened where the user can specify extension(s) of file that the user doesn’t want to backup. Give the extension and click on "Add" button. 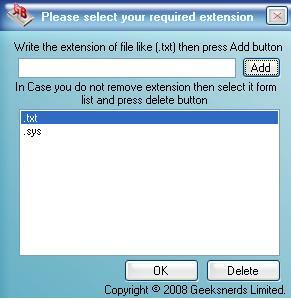 After adding extensions, the files with given extension(s) will be excluded. The user has an option to add more than one extension. 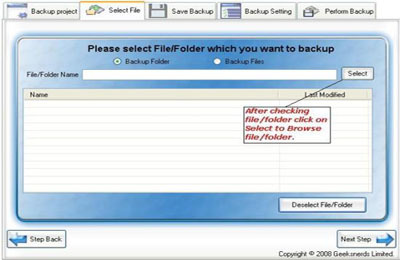 By clicking "Select" button a window will be opened where the user can give the extension of files that the user only want to include in backup from data that have been selected for backup. The user can give more than one extensions. It will take the backup of data in the same format as they are rather than zipping the data. Whenever Geeksnerds Data Backup will take the backup of data, it will zip all the data and save the data in compressed format. It will occupy less space on the disk for backup as compared to original data. By selecting this option, Geeksnerds Data Backup allows the user to open and modify backup project without any security and encryption. Geeksnerds Data Backup treats the data security issue very sensitively. 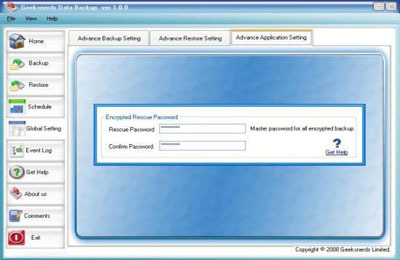 If the user selects password option then the backup program will ask the user to give password. By giving a password, backup becomes secure and no one can open and modify it without password. Whenever the user opens this project, Geeksnerds Data Backup will prompt for that password. Converting the data in unreadable format in called encryption of data. 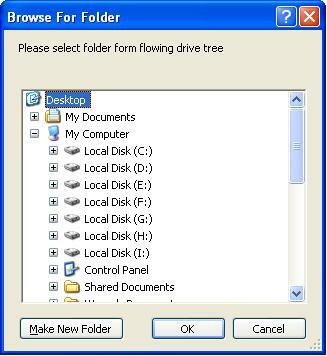 By selecting this option, all files will be saved in the encrypted format, which is unreadable. But whenever restore data is performed, it will be restored in original format. After completing all the settings click on the "NEXT" button given at the end of the page or select the "Perform Backup" option from the task bar. There are three buttons available in this mode:"Run Backup", "Pause Backup" and "Cancel Backup"
To run the backup, click "Run Backup" button. 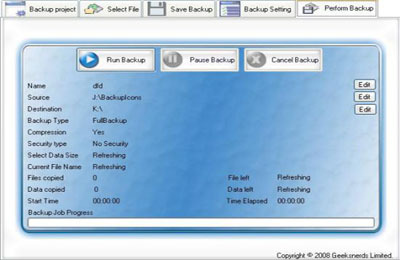 As the user click on the "Run Backup", the "Pause Backup" and "Cancel Backup" button will be enabled. If the user wants to stop the process temporarily, click on the "Pause Backup" button. The process will be paused. To restart the processes again click on the same button. If the user wants to cancel the process then click on "Cancel Backup" button the process will be stopped. To restart the process again clicks on Run Backup button. 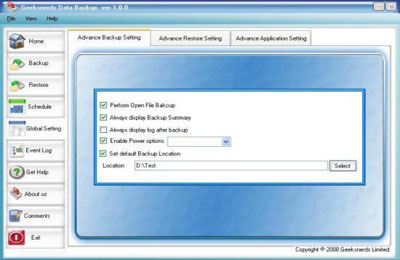 After the backup is complete, the software will show a dialogue giving the time of start of backup and the time when the backup is completed and also giving the total time taken by the Geeksnerds Data backup for the backup. By selecting "Current projects" option the list of all existing projects becomes visible in the main window after installing the latest exe of Geeksnerds Data Backup. Let’s have an example to understand this important function of Geeksnerds Data Backup. By using Geeksnerds data backup utility the user has taken backup. After that the user reinstalled window or has uninstalled Geeksnerds Data Backup, in both cases the user would have to re-install the Geeksnerds Data Backup to restore data. After re-installing Geeksnerds Data Backup when the user selects the "Current Projects" option, the projects the user build with last exe of Geeksnerds Data Backup will not become visible. Now they will be accessible only by selecting "Open Saved Projects" option. After selecting the "Open Saved Projects” option, browse the location of the existing unseen project and click on "Load Project" button. If the user wants to restore some of the data then select them individually and click on the "NEXT" button or select the "Restore Location" from the task bar. If the user wants to restore all the backup data, click on the "Select all File/Folder" button. Then click on the "Next Step" button or select the "Restore Location" option from the task bar. To restore data on the alternate locations rather than original locations, select the "Restore Alternate location" and browse for the location where the user wants to restore data. Now the user can restore the data. 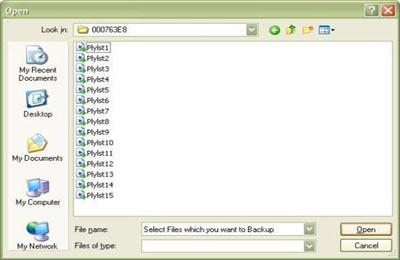 If the user doesn’t want to backup files which the system or any application is using then simply uncheck this option. If the above option is selected then the following message will be shown when data backup is complete. If the user wants to see complete and detail report about backup project i.e. the start time, end time, number of files successfully backup etc. then the user can select this option. 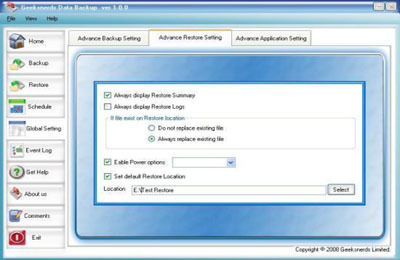 If the user wants to select default backup location where the backup is saved, then the user needs to select this option. 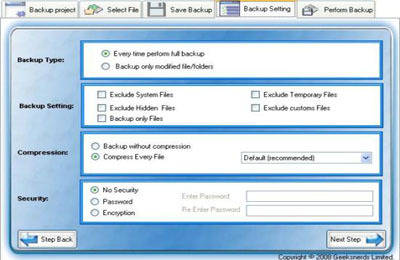 If the user wants to shut down, log off or restart computer after data is backup then by selecting this option the user can do the desired action and when backup is complete, Geeksnerd data backup will automatically take the user’s machine to the desired state. If this option is selected then alert message will be displayed when the software completes restore task. If the user wants to maintain log of restore tasks, then this option will be selected. In case, desired data to be restored is already existing on selected location then the user is given option either to replace the existing data or not. If the user wants to select default location, where data will be restored then the user needs to check this option. 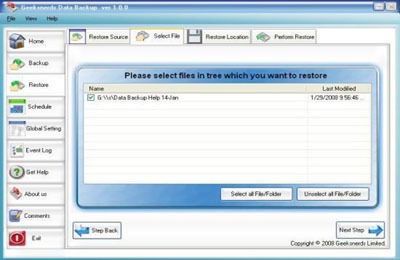 If the user wants to shut down or log off or restart computer every time data is restored then by selecting this option the user can do the desired and after restore data is complete, the data backup software will automatically take the user’s machine to desired state. If the user has forgotten password in case of encrypted security then the user will be unable to edit backup project or restore the files, in such a condition master password for encryption will help the user to perform the above mention tasks. The user can name the scheduler which helps him to identify different schedules. Select the backup project name from the drop down menu where the user wants to apply this schedule. If the user selects Run Daily option, then Run Only On function will be enabled. In “Run only on” there are seven check boxes given along with names of week days. 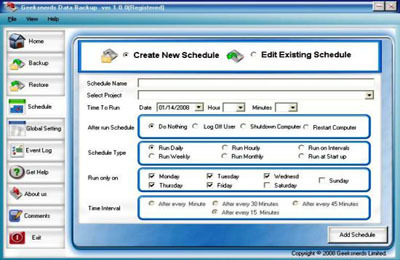 Geeksnerds Data Backup will run on hourly basis if the user selects the Run Hourly option. Geeksnerds Data Backup will run on weekly basis if the user selects the Run Weekly option. Geeksnerds Data Backup will run on monthly basis if the user selects the Run Monthly option. If the user selects "Run on Intervals" option the Time Interval option given at the end will be enabled, select the time interval. Geeksnerds Data Backup will run on the time interval basis that the user has selected from Time Interval. Under this tab the user will get all the log information of the project while taking the backup of required project. 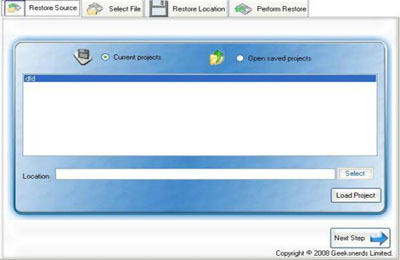 Under this tab the user will get all the log information of the project while doing restore. Under this tab the user will get all the log information of the project while running schedule (if any) on required project.